More production information has been released for the new Masters of the Universe film, with principal photography expected to take place this July in Prague. Sony, which has held the rights for a decade, will finally be bringing He-Man, Skeletor, and the rest of Eternia’s heroes and villains to the big screen thanks to the directorial team of Aaron and Adam Nee. After several re-writes and re-imaginings, including changes in director and many different scripts, the MOTU reboot seems to at last have a forward trajectory. The franchise, which originated as a toyline by Mattel in 1982 and begat a popular animated series, a DC comics series, and a 1987 live-action film starring Dolph Lundgren as the hunky He-Man, has sustained a huge following since the 1980s, even spawning a successful spin-off series starring He-Man’s twin sister, She-Ra. MOTU takes place on the planet of Eternia, a world of magi-tech that blends sorcery and technology, wherein the prince, Adam, becomes champion He-Man with a lift of his Power Sword to protect and serve Eternia and its Castle Grayskull from the evil Skeletor and his minions. 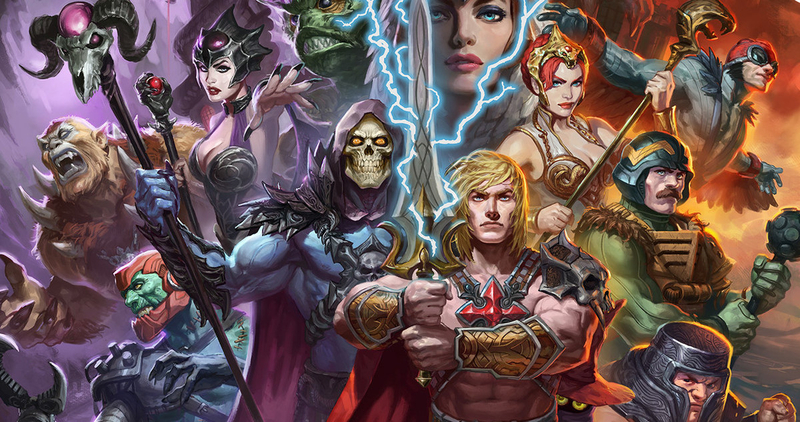 Sony’s Masters of the Universe is expected to be released in December, but as of yet, no casting information has been confirmed, and the date is likely to change as the film moves into production.